Chitral: Kalasha valley Biriu, where last night landsliding hits Biaw village where three houses had been reported damaged due to heavy rain. While there is no harm to human, all member of the families are safe in the incident. The affected people are compiled to live under the open sky. Meanwhile member minorities at district council Adv. Nabaig Kalasha appeal district administration and MPA Wazir Zada of urgent support to the families. Local people immediately started helping to remove debris on the scene. ‘We are all fools in love’ wrote Jane Austen in Pride and Prejudice. Fools, dear reader, know right from wrong yet choose to not care one jot. Their reason abandons them, the advices of closed ones fall on deaf ears, the dangers ahead don’t register and the only face, the only voice, the only touch that can save and/or doom a lover is of beloved. But this is how it begins. As time passes and two people come to know the dark, dreary side of each other the freshness and novelty make way for knowledge and routine. The ‘I’ that had once taken a backseat makes a comeback. The ‘You’, that was whole becomes a part. And the march of love’s beauty inches closer to its brutality. ‘To say I love you one must first be able to say the ‘I’, wrote Ayn Rand, an American philosopher and novelist. Another giant from a different place and time imagines inferno in the following lines ‘What is hell? I maintain that it is the suffering of being unable to love.’ writes Fyodor Dostoevsky in his magnum opus The Brothers Karamazov. PK (Pak-Kalasha) Guest House has inaugurated and it will be offering restaurant and home stay for solo female as well. located in middle beautiful Mumuret valley easily accessible for tourist. 1. No need of NOC for foreign Tourists visiting Chitral area. In recent few year it has been observed that some people are systematically trying to spread negative narratives about #Kalasha community through #YouTube and articles. VERY disappointing situated over the years. THIS video will respond one of the such propaganda existing which may create more confusions. IT will help you to understand propaganda against #Kalasha community. YOU are requested to share this video to reach more people to educate them about #Kalasha community and aware them about propaganda against the community. LETS play positive role in the society. ||Must Watch||. Mualana Abdul Shukor is District Naib Nazim of Chitral. Recently Ishpata News has talked with him about tourism on the occasion of Kirik Ghal. The main purpose of the Lok Baithak is to revive the traditional informal sittings of the rural communities. As we all know that these Lok Baithaks were multifaceted and used to serve the multiple purposes of associationalism, camaraderie, entertainment, social cohesion, knowledge sharing, creation of disciplinarian and organizational spirit, and above all as hub of promotion of art and culture in these communities. This program is open to the people of all age groups and multiple ethnicities in the style that they themselves are the speakers and listeners with the Lok Virsa as regulator and facilitator only. Participants are encouraged and allowed to bring their musical instruments and artifacts they specialize in. They are motivated to share the values, knowledge, wisdom, stories, songs, tales, fables, epics, jokes, traditional games, riddles etc. overall everything falling within the domain of folklore of their respective regions. Amateur singers and musicians among them sing and play music. 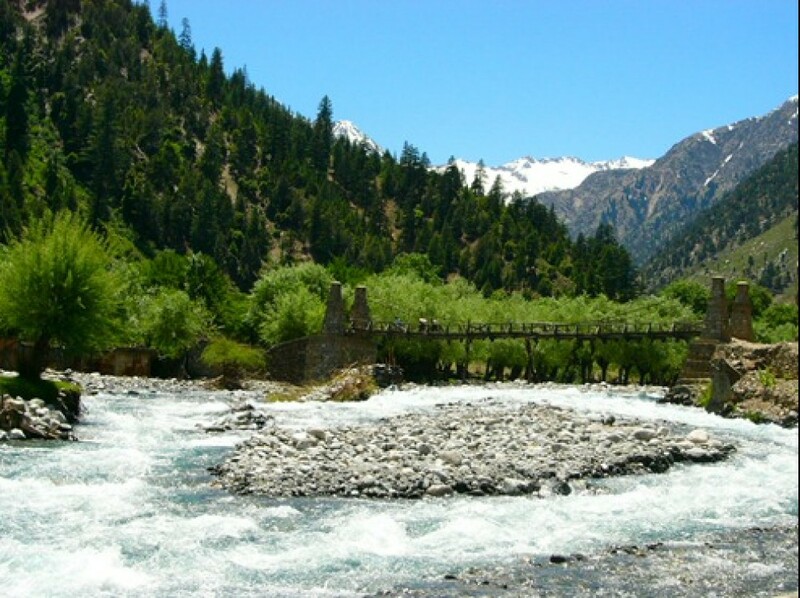 In this session we would explore the folklore of Kalash valley. Mr. Luke Rehmat and Mr. Geo Bangali Kalash would talk about, and represent their community, on the occasion. As an activist, Luke Rehmat would share the characteristic features of the birth to death rituals, festivals, folk cuisine, and folk festivals of the #Kalasha people. While, Mr. Geo Bangali Kalash as a story teller, and a folk singer from the legendary valley of #Kalash, would narrate folk tales – and sing folk songs – of #Kalasha community. Watch this video and share on your social media to help people in rural areas to solve their electricity problem. Details can be read on video. The report is a followup to senior journalist Mukham Udin’s report. He has reported on PEDO power houses.